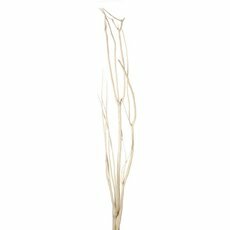 Natural Elegances Willow Sticks are designed to add contrast and to your floral designs and flower arranging, whilst also providing structure and dimension. Floral Designers and Florists love to bring nature as well as fresh flowers and artificial flowers into their arrangements and floral decorations. Using Willow Sticks and other such natural ingredients will enhance and embrace your fresh flower and artificial flower arrangements with the only thing missing from nature being the bird calls themselves. 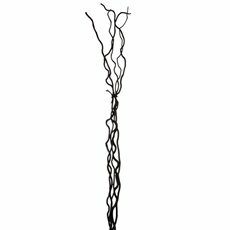 Different sizes and lengths of willow sticks and tortured willow sticks in a variety of colours can bring an interesting texture or highlight to your fresh flower and floral arrangements. They are available in straight or twisted options to suit your flowers and whichever look you are trying to achieve.